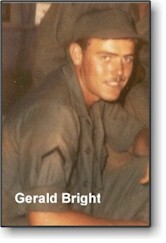 Gerald Bright served with K Troop from Oct. 1966 until June of 1967. Gerald survived Sgt. 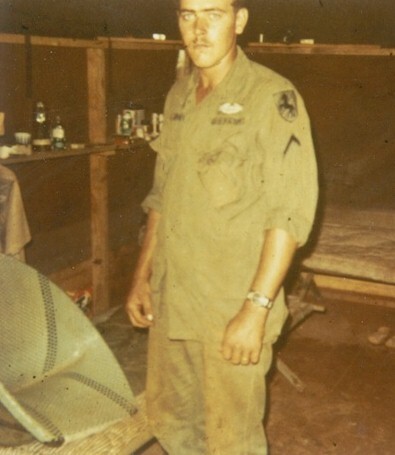 Wayne Schumacher's ambush patrol of June 19, 1967 in which seven K Troopers were killed. Gerald resides in Newport, NC. He is a retired firefighter, is married with two children and has several grandchildren. He has contributed these photos. Group Photo - Back row: PFC Lewis, Sp4 Willis, Sp4 Monroe, Sgt. Hatcher, SSgt. Ausseress. 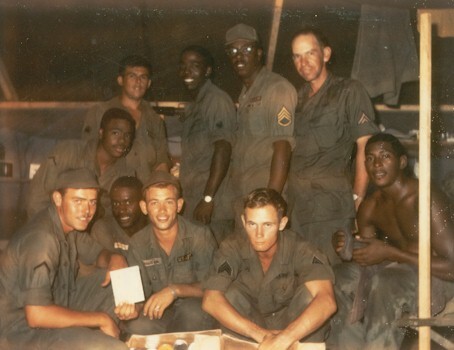 Front row: PFC Bright, PFC Thompson, Sp4 Whitten, Sgt. Peterson and PFC Stewart. Group Photo - Back row: PFC Thompson, Sgt. Peterson, Sgt. Ausseress, PFC Copeland, SSGT. 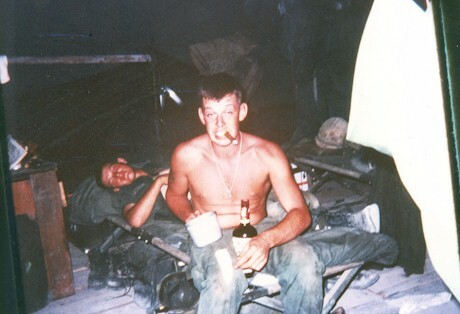 Hatcher and PFC Stewart. 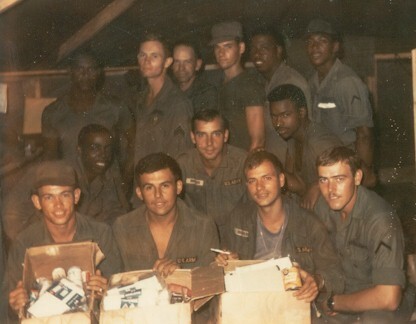 Middle row: SP4 Monroe, PFC Broberg and PFC Lewis. Front Row: SP4 Whitten, SP4 Willis, SP4 Filiberti and PFC Bright. 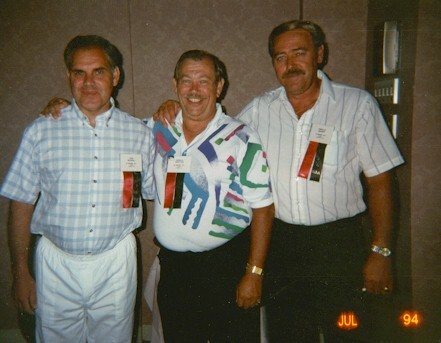 Reunion Photo - Tom McNeil, Jerrold Whitten and Gerald Bright. 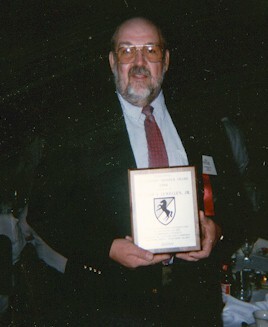 Bill Lewellen Receiving Trooper of Year Award.